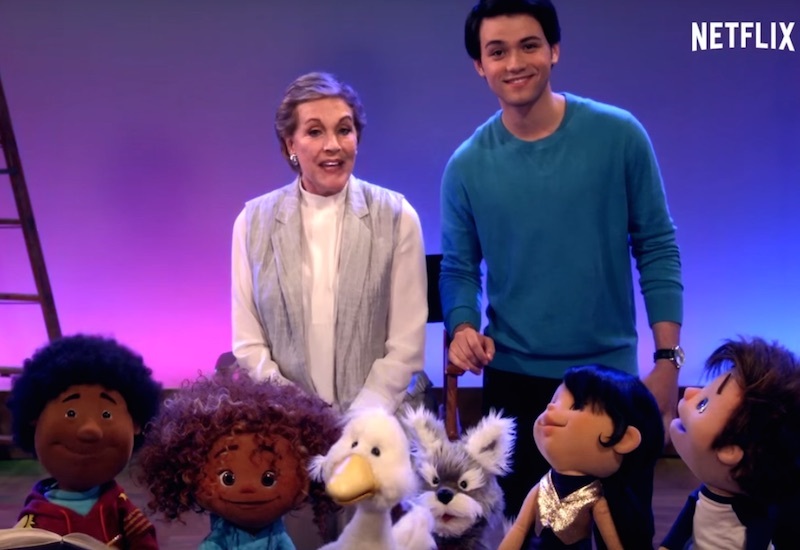 Julie Andrews, beloved star of screen and stage and the original Mary Poppins, is coming to your living room to teach your kids about the performing arts. In conjunction with Netflix and the Jim Henson Company, Julie’s Greenroom will feature Andrews along with plenty of puppet friends and a bounty of guest stars such as Idina Menzel, Alec Baldwin, and Sara Bareilles. Aimed at the preschool set, the program will serve as a fun and playful intro to singing, dancing, acting, creative writing, circus performing, even lighting. Because you never know when Andrews will break out with one of her classics or simply because we find her accent so charming, we’ll likely turn this program into a family screentime event. This news has us so excited (especially considering the depressing state of performing and creative arts education in schools today), you may find us pretending we are spinning around the Austrian countryside, singing “The hills are alive… with the sound of performing arts education.” Come on… don’t pretend it didn’t cross your mind. Stay tuned for Julie’s Greenroom, set to debut in 2017. Julie Andrews, beloved star of screen and stage and the original Mary Poppins, is coming to your living room to teach your kids about the performing arts. In conjunction with Netflix and the Jim Henson Company, Julie's Greenroom�will feature Andrews along with plenty of puppet friends and a bounty of guest stars such as Idina Menzel, Alec Baldwin, and Sara Bareilles. Aimed at the preschool set, the program will serve as a fun and playful intro to singing, dancing, acting, creative writing, circus performing, even lighting. Because you never know when Andrews will break out with one of her classics or simply because we find her accent so charming, we'll likely turn this program into a family screentime event. This news has us so excited (especially considering the depressing state of performing and creative arts education in schools today), you may find us pretending we are spinning around the Austrian countryside, singing "The hills are alive... with the sound of performing arts education." Come on... don't pretend it didn't cross your mind. Stay tuned for Julie's Greenroom, set to debut in 2017.